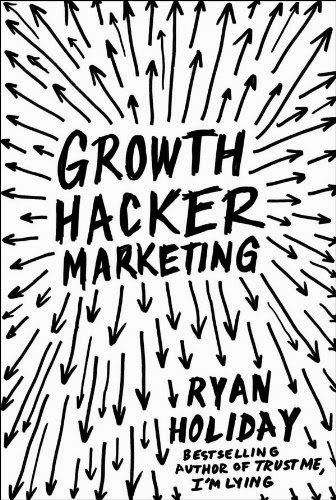 The book Growth Hacker Marketing is a short book (92 pages on my iPad) and is written by Ryan Holiday. He has earlier written a thoughtful book called Trust Me I'm Lying where he explains how easy it is to manipulate (hack) both traditional newspapers and blogs. The book Growth Hacker Marketing is actually a little bit related to his old books since it explains everything about growth hacking and one of the methods used by a growth hacker can be to manipulate the media. PS: I love you. Get your free e-mail at Hotmail. The result of this small line of text was that the company grew exponentially since people who got an e-mail from someone who used Hotmail clicked on this text to get their own e-mail address. Just one e-mail in India spread to 300,000 new e-mail users within 3 weeks. "X.com is really a perfect case example of viral marketing where one customer act as a salesperson for you for bringing in other customers. So you had this exponential growth. It was like bacteria in a petri dish. We didn't have a sales force. We didn't spend any money on advertising." Ryan Holiday's book is filled with similar examples and I recommend it if you need a good introduction to growth hacking. But remember that everything can't grow - growth hacking is not a holy grail. So the first step is always to find a product that can grow.